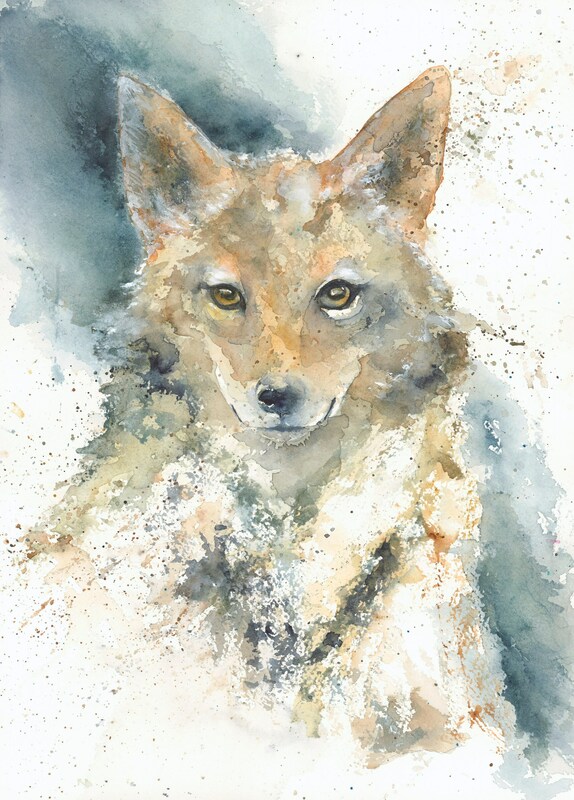 "Coyote Medicine" is an archival fine art giclee print from my original watercolor painting. 🐺 Coyote is often a spirit guide, so it was no surprise he appeared in one of my watercolor paintings. We artists love our foxes & wolves, but there is much to learn from their coyote cousin. Coyote's medicine encourages one to understand the sacredness of all things, and yet, nothing is sacred. Coyote teaches us that only when the masks have fallen will we connect with source, illumination, stealth & our personal truth. Our truth is our calling in this life. Most importantly, Coyote teaches the ability to laugh at one's mistakes. ✏️ Print will come to you hand signed at the bottom & signed/dated on the back. ✳️ This giclee print was created to high standards of reproduction with materials tested by the Fine Arts Trade Guild to resist fading and discoloration in excess of seventy-five years. For maximum longevity, this print should not be displayed in direct sunlight. 📬 Shipped FLAT protected within an acetate sleeve and backing board with 'do not bend' stamp to ensure it reaches you in perfect condition. Larger prints ship SAFELY rolled to prevent bending.